Chanukah 5779 – Make it O’Fishel! The number thirty-six seems to play a significant role, both in the creation and continuance of the world, as well as during this time of year. On Chanuka we light a total of 36 candles. For the first thirty-six hours of the creation of the world, there was an extremely powerful spiritual light that shone forth. However, Hashem foresaw that it would be unfitting for the wicked people to benefit from this special light, and He therefore hid the light for the Tzadikim in the world to come. The Seforim tell us that there are a few places where this special light is hidden in THIS world, enabling us to tap into this extra special holiness. It is hidden in the 36 candles that we light on Chanuka. It is hidden in the 36 tractates of Shas. And it is hidden in the 36 Tzadikim that exist in every generation. The Seforim teach us that Yosef Hatzadik was the epitome of a hidden Tzadik; in fact, he was the ‘head’ of all hidden Tzadikim. Hence, we see a deep connection between the Parshiyos we lain Chanuka time concerning Yosef and the holiday of Chanuka. Yosef’s mida is the sixth Sefira/ Mida, the Mida of Yesod, hence ‘Yesod Shebiyisod’ which epitomizes Yosef takes place on the thirty sixth day of Sefira! Also the daf [folio] of the Gemara in Sota which discusses the story of Yosef with the wife of Potiphar, and how Yosef overcame the test and earned the title Yosef HATZADIK is on DAF…, you guessed it: lamed vav [thirty six]! 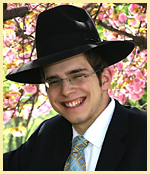 I would like to suggest that although there are more than thirty-six people receiving this email and therefore it’s not possible that we are all members of the ‘Thirty-Six Tzadikim club,’ we can still tap into their strength and holiness when we perform Mitzvos in private, and where there is no fanfare and honor. Hence on Chanuka, which the Seforim tell us corresponds to Yosef Hatzadik, we have an enormous amount of potential to tap into all three places where the special light is hidden: Torah, the Chanuka candles, and doing mitzvos in private. We can now appreciate on a deeper level the Halacha that one should learn Torah right before lighting the Chanuka candles; as then one will be tapping into two places where the special light was hidden! In fact I recently learned that the word כסלו is made up of two words, ‘כס’ which means hidden and ‘,לו’ i.e. that the very name of the month that Chanuka begins in, signifies to us that in this month there is hidden the holiness of the ‘thirty six’s! Specifically now, during the darkness of the winter, at the time when the Greeks tried to spiritually contaminate us and get us sullied in sin, we have the potential to tap into this incredible abundance of holiness. Let us all try, each according to his or her level, to access some of this special holiness that is ‘in the air’ of Chanuka. May we then merit soon the day when this beautiful light and holiness will shine forth once again in its true glory and grandeur, with the coming of Moshiach speedily in our days.